You know this thing about Dora and Diego Games? Cute-games.com has a new category of games for you named Dora and Diego games, where you will meet the two amazing characters Dora and Diego which are always exploring new adventures in the most exotic places. In Dora and Diego Games you can find 118 games that we've published for these kids and childrens that are interested to play Dora and Diego Games, this game gategory have been created on 24.12.2015. These games with Dora and Diego Games have been voted 1 times and the avarage of vote is 5.00 stars. 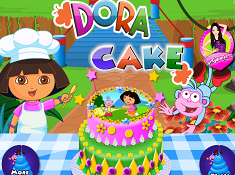 We advice you to play the last flash game from Dora and Diego Games, Dora Yummy Cupcake that have been published on 21.02.2018 20:00. Dora Yummy Cupcake its a part of Dora and Diego Games category and until now its played 1200 times. Try it now on Cute-Games.com! Dora Eye Clinic its a part of Dora and Diego Games category and until now its played 798 times. Try it now on Cute-Games.com! If your like the Dora Eye Clinic game you can write a comment in the game page. Recommend this game to your friends if you like it! 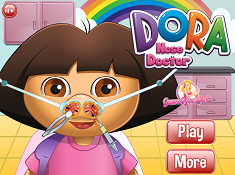 Dora Nose Doctor its a part of Dora and Diego Games category and until now its played 838 times. Try it now on Cute-Games.com! If your like the Dora Nose Doctor game you can write a comment in the game page. Recommend this game to your friends if you like it! 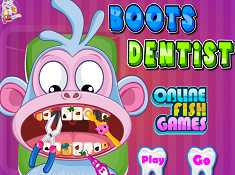 Boots Dentist its a part of Dora and Diego Games category and until now its played 785 times. Try it now on Cute-Games.com! 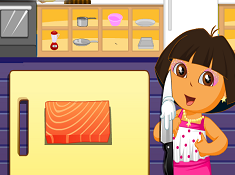 Dora Sushi Cooking its a part of Dora and Diego Games category and until now its played 785 times. Try it now on Cute-Games.com! If your like the Dora Sushi Cooking game you can write a comment in the game page. Recommend this game to your friends if you like it! Dora Play House its a part of Dora and Diego Games category and until now its played 784 times. Try it now on Cute-Games.com! If your like the Dora Play House game you can write a comment in the game page. Recommend this game to your friends if you like it! 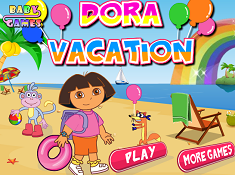 Dora Vacation its a part of Dora and Diego Games category and until now its played 1039 times. Try it now on Cute-Games.com! If your like the Dora Vacation game you can write a comment in the game page. Recommend this game to your friends if you like it! 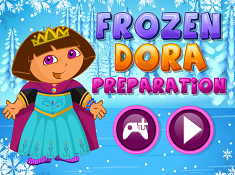 Frozen Dora Preparation its a part of Dora and Diego Games category and until now its played 870 times. Try it now on Cute-Games.com! 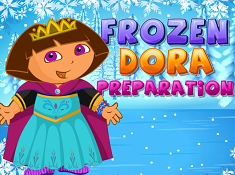 If your like the Frozen Dora Preparation game you can write a comment in the game page. Recommend this game to your friends if you like it! 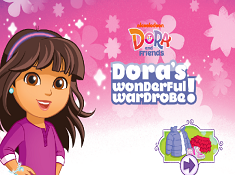 Doras Wonderful Wardrobe its a part of Dora and Diego Games category and until now its played 931 times. Try it now on Cute-Games.com! If your like the Doras Wonderful Wardrobe game you can write a comment in the game page. Recommend this game to your friends if you like it! After Injury Dora its a part of Dora and Diego Games category and until now its played 704 times. Try it now on Cute-Games.com! If your like the After Injury Dora game you can write a comment in the game page. Recommend this game to your friends if you like it! 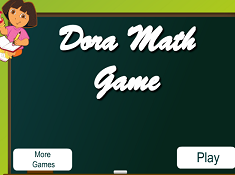 Dora Math its a part of Dora and Diego Games category and until now its played 779 times. Try it now on Cute-Games.com! If your like the Dora Math game you can write a comment in the game page. Recommend this game to your friends if you like it! 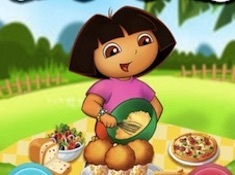 Pregnant Dora Cooking Chocolate Cupcake its a part of Dora and Diego Games category and until now its played 1145 times. Try it now on Cute-Games.com! If your like the Pregnant Dora Cooking Chocolate Cupcake game you can write a comment in the game page. Recommend this game to your friends if you like it! Pregnant Dora Ironing Clothes its a part of Dora and Diego Games category and until now its played 726 times. Try it now on Cute-Games.com! 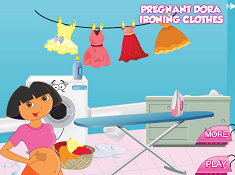 If your like the Pregnant Dora Ironing Clothes game you can write a comment in the game page. Recommend this game to your friends if you like it! Dora the Babysitter Slacking its a part of Dora and Diego Games category and until now its played 671 times. Try it now on Cute-Games.com! If your like the Dora the Babysitter Slacking game you can write a comment in the game page. Recommend this game to your friends if you like it! 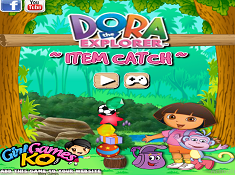 Dora the Explorer Item Catch its a part of Dora and Diego Games category and until now its played 626 times. Try it now on Cute-Games.com! If your like the Dora the Explorer Item Catch game you can write a comment in the game page. Recommend this game to your friends if you like it! Dora Never Stop its a part of Dora and Diego Games category and until now its played 648 times. Try it now on Cute-Games.com! If your like the Dora Never Stop game you can write a comment in the game page. Recommend this game to your friends if you like it! 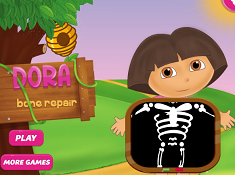 Dora Bone Repair its a part of Dora and Diego Games category and until now its played 757 times. Try it now on Cute-Games.com! If your like the Dora Bone Repair game you can write a comment in the game page. Recommend this game to your friends if you like it! Cute Dora Room Decor its a part of Dora and Diego Games category and until now its played 695 times. Try it now on Cute-Games.com! If your like the Cute Dora Room Decor game you can write a comment in the game page. Recommend this game to your friends if you like it! 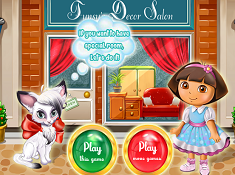 Dora Nails Spa its a part of Dora and Diego Games category and until now its played 729 times. Try it now on Cute-Games.com! 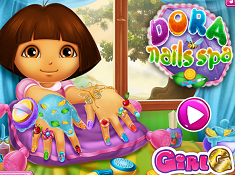 If your like the Dora Nails Spa game you can write a comment in the game page. Recommend this game to your friends if you like it! 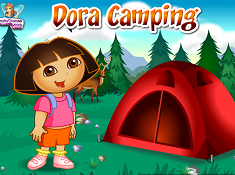 Dora Camping its a part of Dora and Diego Games category and until now its played 724 times. Try it now on Cute-Games.com! If your like the Dora Camping game you can write a comment in the game page. Recommend this game to your friends if you like it! Dora Washing Dolls its a part of Dora and Diego Games category and until now its played 704 times. Try it now on Cute-Games.com! 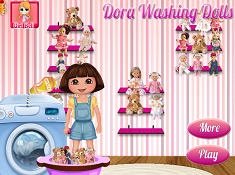 If your like the Dora Washing Dolls game you can write a comment in the game page. Recommend this game to your friends if you like it! Dora Cake its a part of Dora and Diego Games category and until now its played 819 times. Try it now on Cute-Games.com! If your like the Dora Cake game you can write a comment in the game page. Recommend this game to your friends if you like it! Motor Racing its a part of Motorcycle Games category and until now its played 949 times. Try it now on Cute-Games.com! If your like the Motor Racing game you can write a comment in the game page. Recommend this game to your friends if you like it! 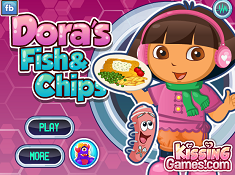 Doras Fish and Chips its a part of Dora and Diego Games category and until now its played 719 times. Try it now on Cute-Games.com! If your like the Doras Fish and Chips game you can write a comment in the game page. Recommend this game to your friends if you like it! 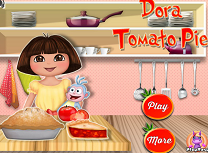 Dora Tomato Pie its a part of Dora and Diego Games category and until now its played 671 times. Try it now on Cute-Games.com! If your like the Dora Tomato Pie game you can write a comment in the game page. Recommend this game to your friends if you like it! Messy Dora its a part of Dora and Diego Games category and until now its played 720 times. Try it now on Cute-Games.com! If your like the Messy Dora game you can write a comment in the game page. Recommend this game to your friends if you like it! 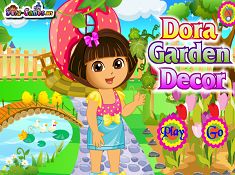 Dora Garden Decor its a part of Dora and Diego Games category and until now its played 615 times. Try it now on Cute-Games.com! If your like the Dora Garden Decor game you can write a comment in the game page. Recommend this game to your friends if you like it! Dora Beach Dress Up its a part of Dora and Diego Games category and until now its played 641 times. Try it now on Cute-Games.com! 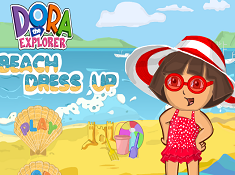 If your like the Dora Beach Dress Up game you can write a comment in the game page. Recommend this game to your friends if you like it! 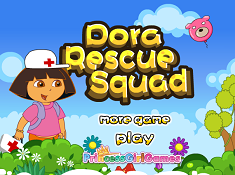 Dora Rescue Squad its a part of Dora and Diego Games category and until now its played 636 times. Try it now on Cute-Games.com! If your like the Dora Rescue Squad game you can write a comment in the game page. Recommend this game to your friends if you like it! 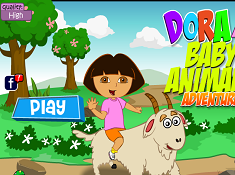 Dora and Baby Animals Adventure its a part of Dora and Diego Games category and until now its played 731 times. Try it now on Cute-Games.com! If your like the Dora and Baby Animals Adventure game you can write a comment in the game page. Recommend this game to your friends if you like it! 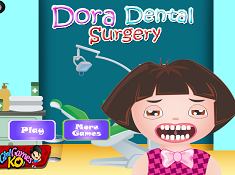 Dora Dental Surgery its a part of Dora and Diego Games category and until now its played 583 times. Try it now on Cute-Games.com! 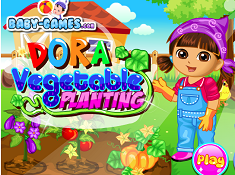 Dora Vegetable Planting its a part of Dora and Diego Games category and until now its played 566 times. Try it now on Cute-Games.com! If your like the Dora Vegetable Planting game you can write a comment in the game page. Recommend this game to your friends if you like it! Cute Dora Bathing its a part of Dora and Diego Games category and until now its played 556 times. Try it now on Cute-Games.com! If your like the Cute Dora Bathing game you can write a comment in the game page. Recommend this game to your friends if you like it! Fat Dora Eat Eat Eat its a part of Dora and Diego Games category and until now its played 1095 times. Try it now on Cute-Games.com! 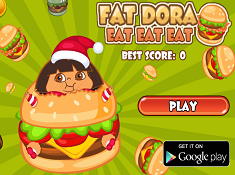 If your like the Fat Dora Eat Eat Eat game you can write a comment in the game page. Recommend this game to your friends if you like it! Dora Pony Dress Up its a part of Dora and Diego Games category and until now its played 582 times. Try it now on Cute-Games.com! 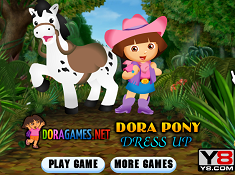 If your like the Dora Pony Dress Up game you can write a comment in the game page. Recommend this game to your friends if you like it! Dora Nurse its a part of Doctor Strange Games category and until now its played 589 times. Try it now on Cute-Games.com! If your like the Dora Nurse game you can write a comment in the game page. Recommend this game to your friends if you like it! 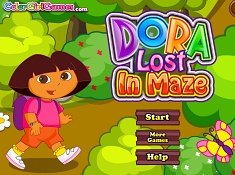 Dora Lost in Maze its a part of Dora and Diego Games category and until now its played 693 times. Try it now on Cute-Games.com! If your like the Dora Lost in Maze game you can write a comment in the game page. Recommend this game to your friends if you like it! Dora Ice Blueberry Cream its a part of Dora and Diego Games category and until now its played 591 times. Try it now on Cute-Games.com! If your like the Dora Ice Blueberry Cream game you can write a comment in the game page. Recommend this game to your friends if you like it! Dora and Friend Alana its a part of Dora and Diego Games category and until now its played 617 times. Try it now on Cute-Games.com! If your like the Dora and Friend Alana game you can write a comment in the game page. Recommend this game to your friends if you like it! Dora Hand Surgery its a part of Dora and Diego Games category and until now its played 773 times. Try it now on Cute-Games.com! If your like the Dora Hand Surgery game you can write a comment in the game page. Recommend this game to your friends if you like it! 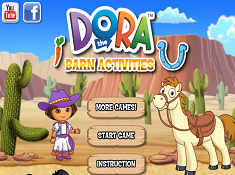 Dora Barn Activities its a part of Dora and Diego Games category and until now its played 649 times. Try it now on Cute-Games.com! If your like the Dora Barn Activities game you can write a comment in the game page. Recommend this game to your friends if you like it! Dora Party Preparing its a part of Dora and Diego Games category and until now its played 630 times. Try it now on Cute-Games.com! If your like the Dora Party Preparing game you can write a comment in the game page. Recommend this game to your friends if you like it! Dora Sibling Cares its a part of Dora and Diego Games category and until now its played 597 times. Try it now on Cute-Games.com! If your like the Dora Sibling Cares game you can write a comment in the game page. Recommend this game to your friends if you like it! Dora Easter Day its a part of Dora and Diego Games category and until now its played 667 times. Try it now on Cute-Games.com! 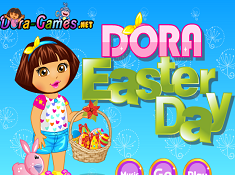 If your like the Dora Easter Day game you can write a comment in the game page. Recommend this game to your friends if you like it! Dora and Boots Fun Maths its a part of Dora and Diego Games category and until now its played 714 times. Try it now on Cute-Games.com! If your like the Dora and Boots Fun Maths game you can write a comment in the game page. Recommend this game to your friends if you like it! Frozen Dora Preparation its a part of Dora and Diego Games category and until now its played 609 times. Try it now on Cute-Games.com! 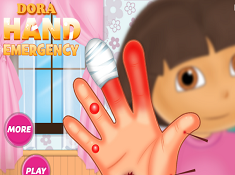 Dora Hand Emergency its a part of Dora and Diego Games category and until now its played 629 times. Try it now on Cute-Games.com! If your like the Dora Hand Emergency game you can write a comment in the game page. Recommend this game to your friends if you like it! Dora Face Infection its a part of Dora and Diego Games category and until now its played 509 times. Try it now on Cute-Games.com! If your like the Dora Face Infection game you can write a comment in the game page. Recommend this game to your friends if you like it! 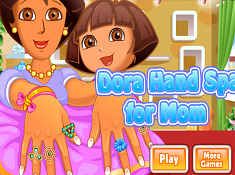 Dora Hand Spa for Mom its a part of Dora and Diego Games category and until now its played 725 times. Try it now on Cute-Games.com! If your like the Dora Hand Spa for Mom game you can write a comment in the game page. Recommend this game to your friends if you like it! Dora the Leg Surgery its a part of Dora and Diego Games category and until now its played 695 times. Try it now on Cute-Games.com! If your like the Dora the Leg Surgery game you can write a comment in the game page. Recommend this game to your friends if you like it! 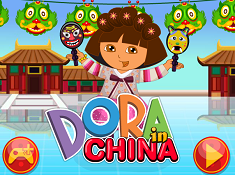 Dora in China its a part of Dora and Diego Games category and until now its played 687 times. Try it now on Cute-Games.com! If your like the Dora in China game you can write a comment in the game page. Recommend this game to your friends if you like it! Dora Sleepwalking its a part of Dora and Diego Games category and until now its played 621 times. Try it now on Cute-Games.com! If your like the Dora Sleepwalking game you can write a comment in the game page. Recommend this game to your friends if you like it! 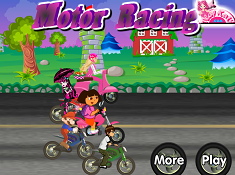 Dora Ride a Bicycle its a part of Dora and Diego Games category and until now its played 760 times. Try it now on Cute-Games.com! 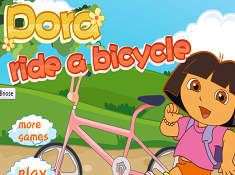 If your like the Dora Ride a Bicycle game you can write a comment in the game page. Recommend this game to your friends if you like it! 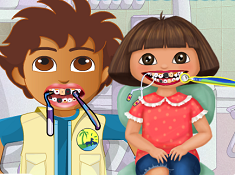 Dora and Diego at the Dentist its a part of Dora and Diego Games category and until now its played 809 times. Try it now on Cute-Games.com! Diego and the Dinosaurs its a part of Dora and Diego Games category and until now its played 974 times. Try it now on Cute-Games.com! 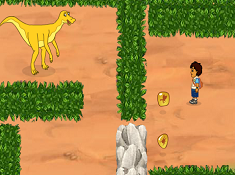 If your like the Diego and the Dinosaurs game you can write a comment in the game page. Recommend this game to your friends if you like it! 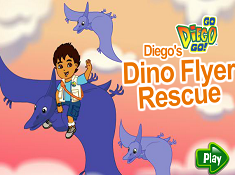 Diegos Dino Flyer Rescue its a part of Dora and Diego Games category and until now its played 1077 times. Try it now on Cute-Games.com! If your like the Diegos Dino Flyer Rescue game you can write a comment in the game page. Recommend this game to your friends if you like it! Dora Prepare Halloween its a part of Doctor Strange Games category and until now its played 580 times. Try it now on Cute-Games.com! If your like the Dora Prepare Halloween game you can write a comment in the game page. Recommend this game to your friends if you like it! 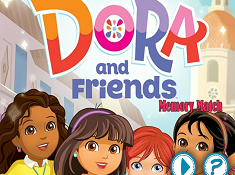 Dora and Friends Memory Match its a part of Dora and Diego Games category and until now its played 719 times. Try it now on Cute-Games.com! If your like the Dora and Friends Memory Match game you can write a comment in the game page. Recommend this game to your friends if you like it! Dora and Friends Spot the Numbers its a part of Dora and Diego Games category and until now its played 807 times. Try it now on Cute-Games.com! 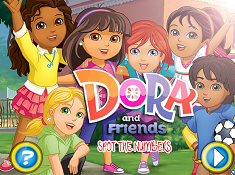 If your like the Dora and Friends Spot the Numbers game you can write a comment in the game page. Recommend this game to your friends if you like it! Find More About Dora and Diego Games! Dora, is an American girl which loves to explore new places reason for why she is traveling a lot in many places where she has to go through obstacles and adventures but she is accompanied by Boots, her pet which is a monkey. 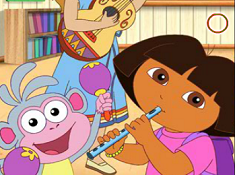 The series where she appears is named “Dora the Explorer”, and it is an American educational animated TV series created for Nickelodeon in association with Nick Jr. Because Dora is coming from Indigenous Mexican heritage in the series you will heard her speaking Spanish and also you can watch the series dubbed in Spanish which aired on Nick en Espanol owned by Telemundo. In each episode of the series you will see Dora confronting with different challenges like solving puzzles, counting or relating to riddles but all these challenges are made with the assistance from the viewing audience. Here you will also meet Swiper, a fox which steals the possessions of other and to stop it Dora has to say three times “Swiper no Swiping” and any time when Swiper succeed to stole something Dora and Boots has to find the stole item so, this is another challenge that Dora has to solve. Diego is an 8-year-old Latino boy which appears in the animated series named “Go, Diego, Go!” where you can see him saving all kind of animals all around the world. Like Dora, Diego also have a great company which is Baby Jaguar, a jaguar who assists and help Diego in all the adventures like a true friend because even if is just a baby, the jaguar is very brave and loves Diego a lot. Diego is Dora`s cousin and they appeared in each other series in different episodes when they are meeting on their travels and are facing together some challenges. 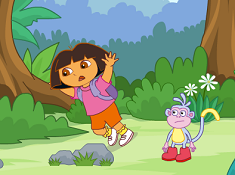 Diego appeared for the first time in “Dora the explorer” in an episode named “Meet Diego”, and also Dora appears in “Go, Diego, Go!” sporadically without Boots even if Baby Jaguar appeared many times in her series. Diego has another help which is his older sister, Alicia who directs the animal rescue calls that come into the center and she is also helping Diego when he is in rescue for animals. In the series are also presenting Diego`s parents which are animal scientists and they are also helping Diego when they know how to do that. “Go, Diego, Go!” is an Latino-American animated educational TV series which appeared on Nickelodeon and Nick Jr. being a spin-off of “Dora the Explorer” series reason for why the two are identified together. Both of them are interact with the audience and let the kids thinking how to solve the challenges which appears along the series reason for why they are seen like educational TV series. Dora and Diego games are also educational because you will find there the challenges from the series and you will be able to control them by your own having to put your mind in action. We have games with the two characters together are separated so you can choose with which of them you want to play or you can play with both in the same time and also you will meet there many other characters from the series. Cute-games.com tries to bring you the most beautiful Dora and Diego games that we found but if you find other games that we haven`t published yet, you can tell us what game do you want and we will publish it for you. For more challenges and adventures stay with us and you will be able to see what surprises we had for you in the future Dora and Diego games that we are preparing for you.